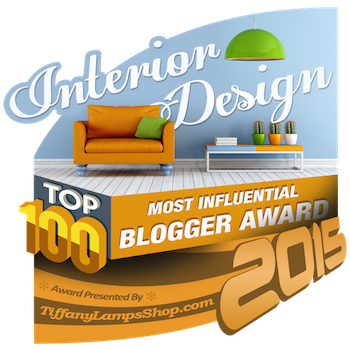 Congratulations go out to the newly named Top 10 Influential Design blogs. The blog Home Rejuvenation hosted this contest and bloggers around the world voted for their favorites. With much fanfare, the winners were announced yesterday. Mazel Tov to the Top Ten! Though in agreement with all the winners, I still felt there were several glaring absences from the list and I just couldn't let the day pass without paying these blogs special notice. I am sure the votes were tight and these following blogs were undoubtedly very high up on the list. Of that, there is no doubt. To me, these blogs below, along with the winners, represent the very best that design blogging has to offer: information, eye candy, and personality. They blog day in and day out and always with something visually pleasing or intellectually stimulating in the mix. These blogs spurned me on to create my own and I look to them for guidance and inspiration daily. First on my list is Absolutely Beautiful Things. World famous, with more hits a day than the Beatles at their prime, Absolutely Beautiful Things lives up to its title. 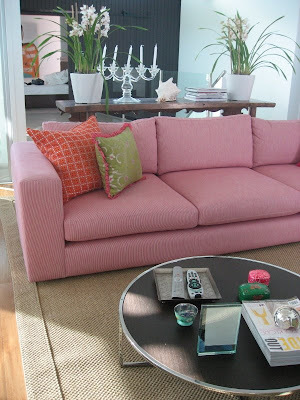 Written by the Australian interior designer, Anna Spiro, her blog is bright, fun, and pink. Her style of interior design is utterly infectious and young, which isn't surprising as Anna only recently turned 30. 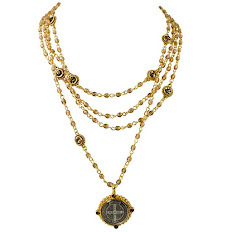 A store owner of much regard, her accomplishments are legendary in Brisbane and the blog world. Anna's blog sends so much traffic each day to my own blog, I will be indebted to her always. 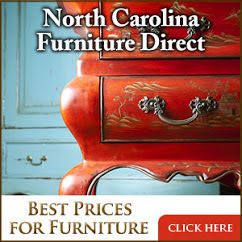 If you've never visited Absolutely Beautiful Things, be sure to do so soon, it is truly the tops of the design blogs. No one does it better than Anna. Anna's interior design and furniture store in Australia. 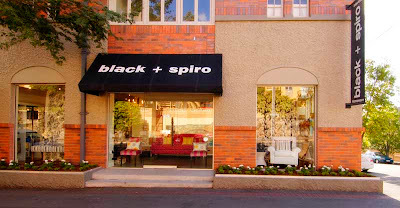 Known for it's show stopping window displays, Black and Spiro is a landmark in Brisbane. An example of Anna's interior design style, I love her sense of color. Who else but Anna would successfully place a pink sofa in a living room? I love how she repeats the black color of the coffee table with the black color on the back wall. Anna is known for using a riot of bright colors in her designs. Her rooms are fun, yet sophisticated, bright but not garish. She is such a great talent, that I'm convinced one day her name will be known world wide. The next blog deserving of much attention is Style Court. 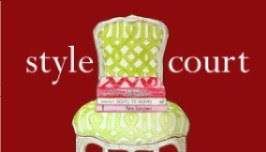 Blogged daily and sometimes three and four times daily by Courtney Barnes of Atlanta, Style Court was my ideal when I started blogging. The first time Courtney left a comment to Cote de Texas, I was thrilled and proud beyond belief. Style Court is filled with design ideas culled from sources all over the world. Her first love is textiles and they figure prominently in her blog. 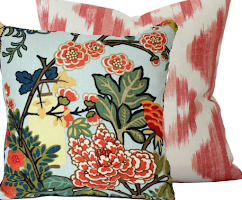 Courtney loves fabrics, especially from KWID and Lulu, and she also has a particular fondness for all things chinoiserie. She's partial to young designers like Ruthie Sommers and Anne Coyle, yet she has an appreciation for seasoned designers like Michael Smith. 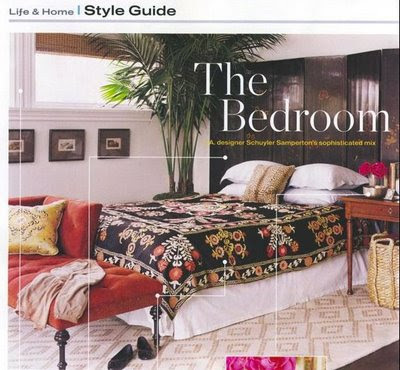 A few favorites of Style Court's: Interior designer Schuyler Samperton and suzanis. I think if Courtney had this bedroom to sleep in, she would be in heaven! 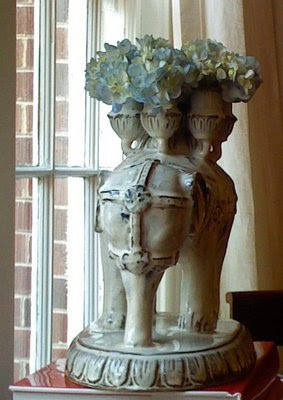 Elephants and anything of eastern design particularly appeal to Style Court. Here is a new prized possession of Courtney's. Another influential blogger is The Peak of Chic. A lofty title which it easily lives up to, Peak is written by Jennifer, also from Atlanta. Jennifer blogs on topics in a style that is easy on the eye, yet intellectually stimulating at every turn. 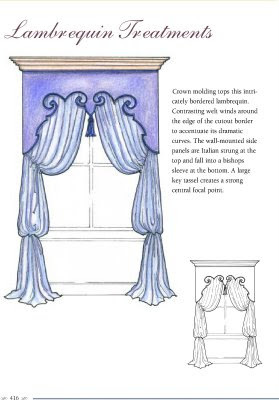 The young and beautiful Jennifer writes a very informative blog, covering every aspect of design from traditional to transitional. A true Southern girl, she admires the classics in design which is apparent from the decorators she chooses to cover. Many times her posts are very thought provoking as she asks her reader to contemplate and discuss a particular topic. Her readership is large and her comment section is one of the largest and most engaging I've seen. 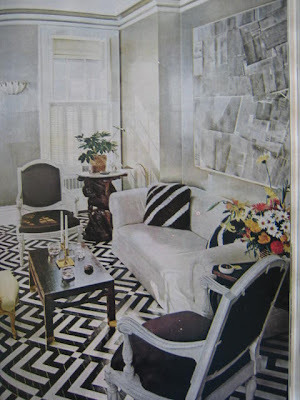 Recently The Peak of Chic posted this rare shot of an Albert Hadley living room that no blogger had seen before. Typical of Jennifer's posts, her readers became involved and many comments were made over Hadley's flower choices!! Spirited debate ensued, with everyone taking part in the fun. This picture says it all about Jennifer: her love of Hadley, her love of the classic and the chic, and her love of research. 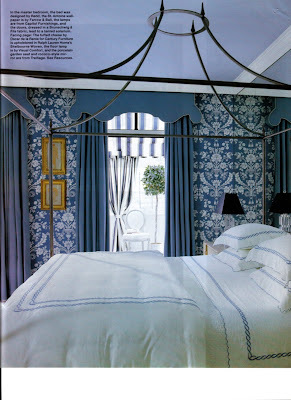 A favorite designer of The Peak of Chic, Miles Redd's bedroom is pictured above. Redd represents the younger spectrum of the design world that Jennifer presents in her blog. 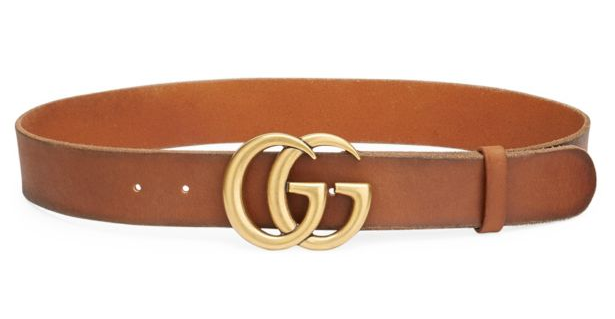 The Peak of Chic has gotten national press and it is very well deserved. This blog is more interesting than many of the magazines Jennifer frequently writes about. The following three blogs hold a special place in my heart. The women behind these blogs trade emails with me and I have come to consider them friends, though we have never met. We support each other's blogs, ideals, and happiness. Canadian Interior Designer of note, Patricia Gray is in a league all her own. Of all the multitudes of design blogs out there, perhaps the most talented interior designer writing one today is Ms. Gray. Her superior intelligence is obvious with each topic she chooses to write about. Her interior design work is featured in many design publications, including Architectural Digest, and she counts John Travolta as one of her clients! Without a doubt, her blog is a true must read. Armed with an impeccable resume, Patricia uses her blog to explore her inspirations and design processes. Highly respected by bloggers and clients alike, her blog is an example of what true genteelism looks like. My favorite room that Patricia has designed. A sitting room filled with Italian designed chairs - where most designers would have placed only one chair, Patricia fills the space with four. 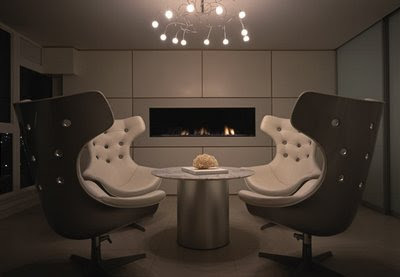 These chairs have become a symbol to bloggers of Ms. Gray's design aesthetic. Another view of a brilliant design by Patricia Gray. Note how the colors of the floor are repeated in the colors of the cabinets and in the ceiling thus breaking up the masses of white that are present. The granite slab repeats the same color tone while becoming a piece of art in itself. The lighting fixture adds a touch of whimsy. This kitchen is so gorgeous, so streamlined, so carefully edited, it is at home in an open concept living space without being obtrusive. 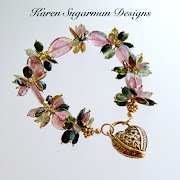 As interesting as Patricia's blog is, be sure to visit her web site to peruse her amazing design portfolio. Jackie Von Tobel is the blogger behind Jackie Blue Home. An interior designer by trade, she is now a writer with two books under her belt and two more in the wings. 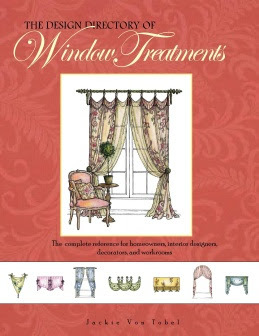 Recently she produced the massive Window Treatments, a large directory of window covering designs. Even more notable is the fact that she designed and drew all the illustrations herself, a massive feat when you consider the volume of the book. Jackie's blog is full of her unashamed critiques of the design world. Never one to hold her tongue, she created a firestorm recently taking on the magazine Domino and one of its cover stories. My favorite fun fact about Jackie is that she is the better half of the person who wrote and produced the great ad campaign: What happens in Vegas, Stays in Vegas. A sample from Jackie's new illustrated book. Page after page is filled with her painstaking and charming drawings. On the road now publicizing her book, she fills her blog with tales of her travels. Warm, witty and fun, Jackie's good heart shines out through her blog. Beach bungalow 8 is the brainchild of Megan Samuels, a gorgeous LA interior designer who is better looking than most of the actresses that toil in her town. 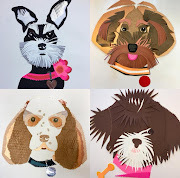 She started her professional life as an illustrator and she decorates her blog with her handiwork. Her posts are fun, her voice is witty, her tongue is sharp. Megan brings a constant stream of hipness to her blog, showcasing artists, both starving and not. 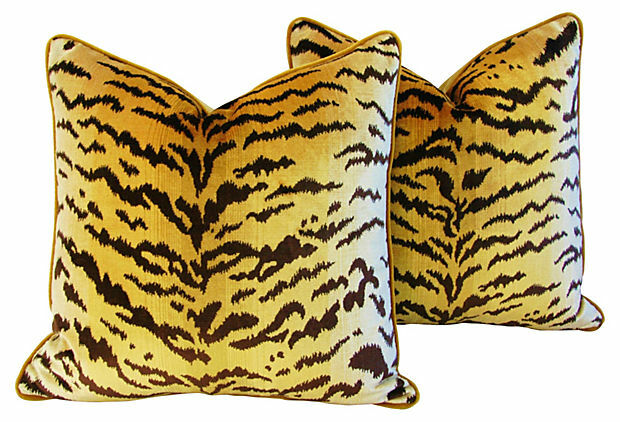 Her blog is as much about fashion and art as it is about interiors and it is a riot of color, sound, and pattern. 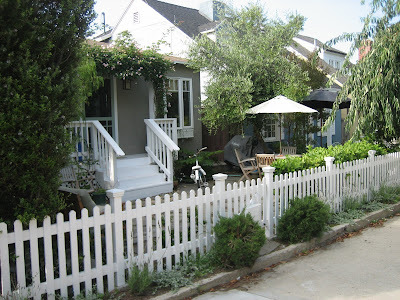 Beach bungalow 8 is named for the adorable cottage she lives in with her two daughters and dogs on a "walk street" just steps from the L.A. beach. She's a surfer, but she claims that San Francisco is her "real" home. She recently blogged about her childhood neighbor and schoolmate, Kate Spade. 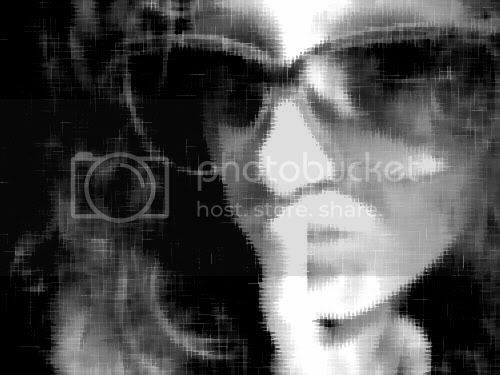 Funny to the bone, she keeps me up at night belly laughing, Instant Messaging me until all hours. Engaged to be married to the man behind the wonderful charity organization, Walk with Sally, we're eagerly awaiting pictures of her wedding in Mexico this spring. 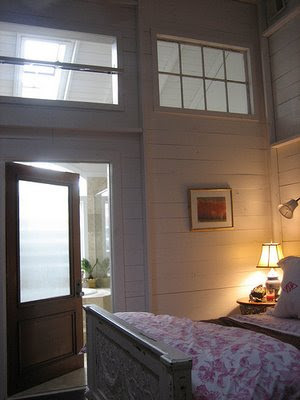 Perhaps Megan is best known by bloggers for this picture, though she'll kill me for saying that - a view of her beautiful beach bedroom with it's paneled walls and it's antique door, beyond which is her bathroom. Today I came across a most delightful blog - Cote De Texas. It’s always so much fun when you find a kindred spirit. 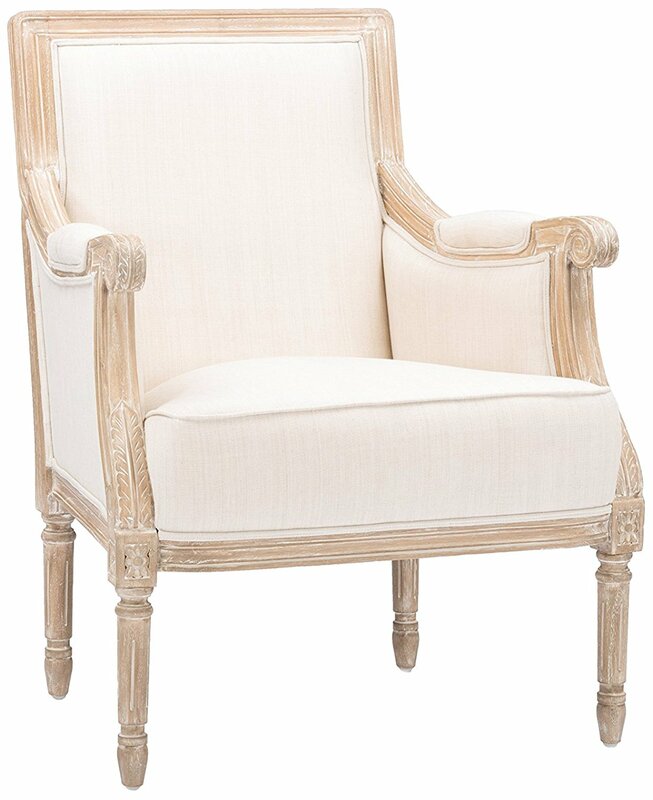 The blog is written by an interior designer in Houston, Texas who lives, lusts, and covets anything French. 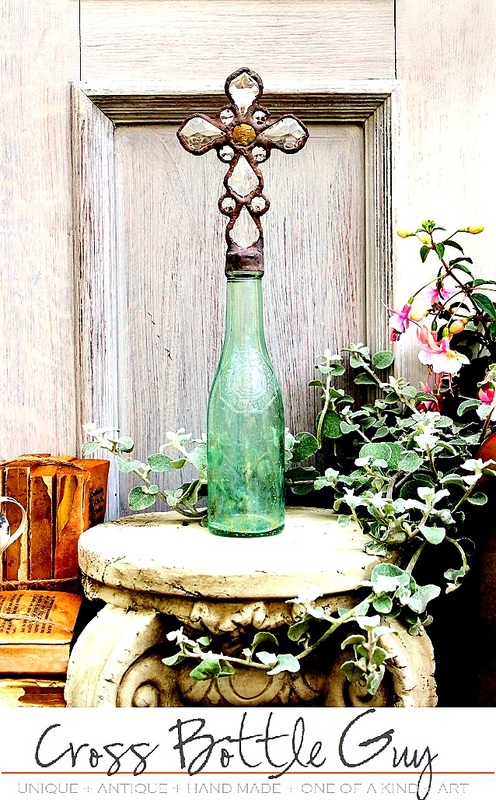 The blog was created to indulge a love of French antiques, French furniture, and anything else pertaining to France! See you yourself. Très Bien! I owe Ronda a debt I could never repay, an audience that includes you, and for that I will always be grateful and indebted to Ronda. Be sure to check out her blog, if you aren't already a dedicated reader. Known for blogging about interior design and fashion and food in equal parts, she is perhaps most famous for landing interviews with leaders in all these fields. 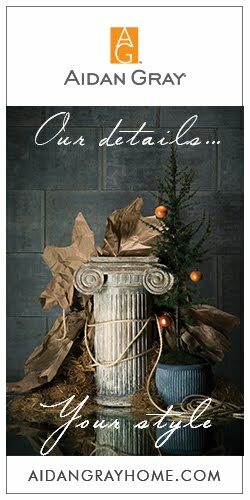 Interesting and well researched, All The Best brings an air of culture and class to the design blogosphere. I hope you've enjoyed reading about MY top picks, but truthfully it was hard to keep it so brief. On the left of my page, you will see a list of blogs that I read daily. The list is long, but it is edited to what I consider the very best out there in the design blog world. coool picks! Thanks for sharing these links. Will definitely check them out! Joni! My goodness, I'm so very flattered. You truly "get" everyone -- certainly sized me up perfectly. I'm overwhelmed by your attention to detail. You have to be mentioned too because yours is one of the most original blogs I visit. Your passion for beautiful, classic design comes through loud and clear. I always feel I'm visiting a different place -- Texas, a world of its own, that mixes the ultra-refined with the rustic, down home. Thank you truly for the mention! I love your analysis of all of these blogs...most of which I read daily. What a thoughtful tribute you pay to these talented bloggers! Thanks y'all for the kind words!!! You don't need to say anything about my own blog, that absolutely wasn't my intention, I just saw some blaring ommissions on that list and I couldn't stand it! I'm glad that you all agree with MY picks, I'm sure you like those blogs as much as me. Aww, thanks Joni! I'm certainly in some good company here. It's so great to have such wonderful blogging friends, most especially you! And how lucky are we to have your fantastic blog??!!! god joni! you just made me cry! you're the best. thank you for all of that. AND for staying up late night with me typing back and forth with our ridiculous conversations about nothing. Oh, Joni - you are so kind to include me here! I love all of the blogs you have mentioned too!! I just think there are so many great design blogs out there now and yours makes my list of favourites too!! I just got back from NYC and found your post. THANK YOU so much Joni!!! I am so touch and honored! You're the best!!! Thank you for writing about these wonderful blogs, Joni! I am so happy to have found Cote de Texas! must read and focus on. It can be daunting because we all have so much to share and so many opinions and points of view to discuss. Nice collection! I am so honored that you choose me to be on your list with these other incredibly talented bloggers. I started blogging as another creative outlet and have found that is has become so much more for me. The sharing and sense of camaraderie amongst bloggers is truly the best. You are continually a source of inspiration to me, and I eagerly await your postings and re-read and savour them. Your kind words and support are such an encourgement. Thank-you from the bottom of my heart for including me. I think you are absolutely right in recognizing the blogs that you did. I visit all of them and find them all interesting and inspiring in their own ways. So nice of you to honor them! And thanks for your visit to my blog, it was nice to see you there and just like everyone else, I appreciate YOUR posts and insights. Always informative and often quite entertaining, you have a great blog as well. Couldn't agree more! Very perceptive comments on the style of each blog. With the addition of your own blog and a few more, this is my favorites list, too. Hi Joni. This is my first time to your blog and I've spent quite a while going through your favourite blogs and past posts. I'm pretty new to blogging and really, I find everyone who'se posting is posting amazing things. Thank you so much for this list, and for the time you so obviously put into it. It was a real pleasure to read, and to page through some of your past posts. Nice e-meeting you! Thanks for this great post, Joni! You certainly nailed my favorites! You have a gift for hitting the nail on the head and being able to sum up the "essence" of who people are. An astute observer for sure. I think these ladies certainly deserve the recognition you have given them! However, we can't forget that our little blogging society wouldn't be what it is without you, Joni - our frank, honest, fun, sweet, generous and sharp as a tack Miss Joni! Great picks all of them, without a doubt! I could not agree more. I read every single one of these blogs you mentioned daily (including yours) and derive so much inspiration from them. It is amazing how much you think you know, and then how much you can be taught by others. Love all your picks Joni! These bloggers are true inspiration to us all and I am so glad to see this post. I can't tell you how much I've learned from each one....but you forgot one more....Cote de Texas :) You're blog is great too so don't forget!!! I absolutely agree, how they were missed from the original list is a mystery to me. A few of these blogs were the ones that inspired me to start mine, even though I'm not sure I'll ever live up to their standards! shingle installation, dimensional shingles, siding repair, metal roofer, aluminum shingles, shingles! aluminum shingles,asphalt roofer, roofer services, shingles, roofer. my name is Peggy and I am a Gathering Organizer. I know, several people have quite a setback, finding the best Inspiration for their next Gathering! Well, how about Bingo to allow it to be a true hit? Have a look at this website! You be able to book Bingo for nice prices!